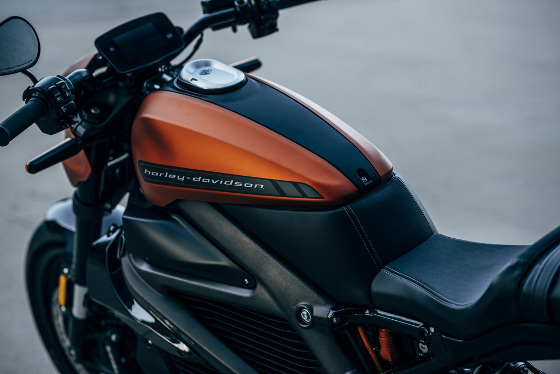 There's a new sound at Harley-Davidson, and it's not that deep rumbling roar you hear from their traditional two-wheelers. It's more of a high-pitched zip, and it comes from LiveWire, the company's first electric production motorcycle, which is now available for pre-order. 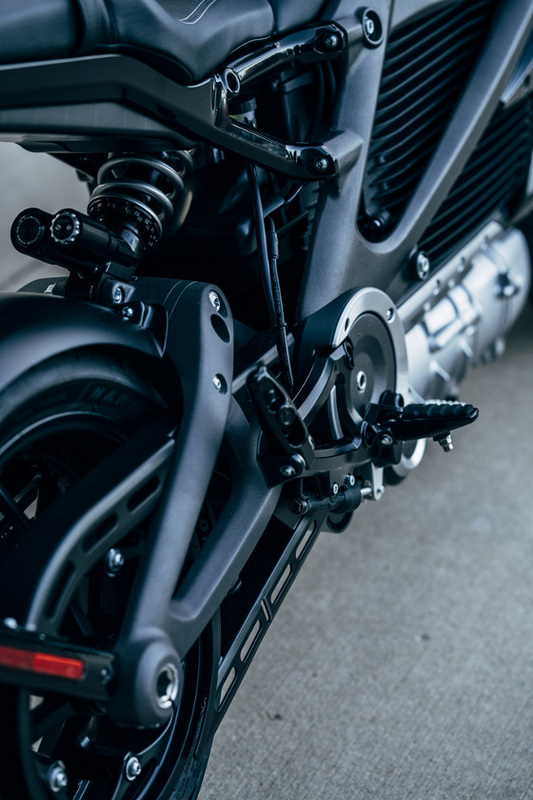 LiveWire's instant torque rockets riders from 0 to 60 mph in under 3.5 sec, so that mosquito-on-steroids buzz sound is no indicator of the bike's real power. Harley characterizes the new sound as simply "futuristic." 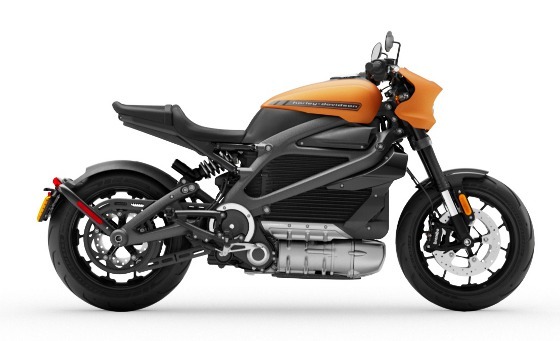 LiveWire brings high-performance electric propulsion, some slick design, and cellular connectivity to today's rider. Harley says it is the first of a new electric portfolio of motorcycles that provides an all new two-wheel experience. 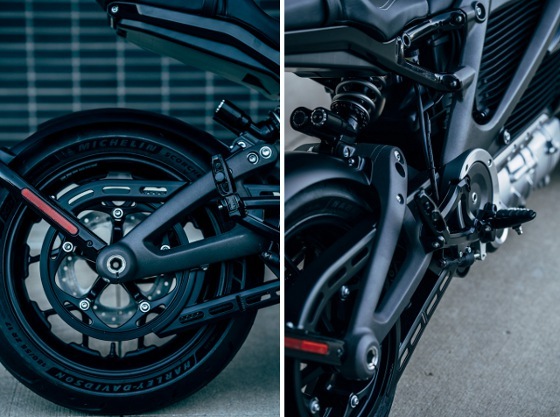 This bike delivers thrilling acceleration, agile handling, premium materials and finishes, and a full suite of electronic rider aids and interfaces for a completely connected ride. 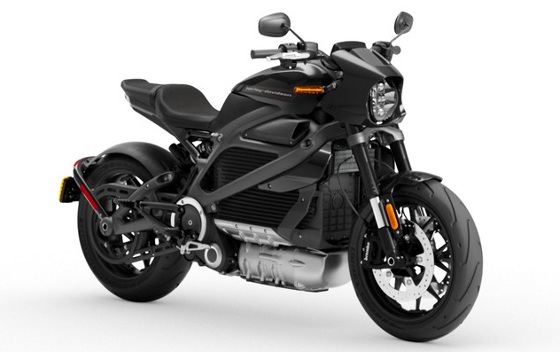 VIDEO: Paul James, public relations manager at Harley-Davidson, does a quick walk-around of the 2020 LiveWire at the 2019 Consumer Electronics Show. Featuring a lightweight aluminum frame, the bike is able to travel an estimated 110 miles of urban roads on a single charge. The charging ports are built into a fake gas tank cover, which sounds a little tacky but looks really good. There are two ways to charge it. You can use the onboard Level 1 charger and power cord to connect to any standard household outlet and get a full charge overnight (13 miles range per hour of charge), or, for a faster charge (everyone is going to want that!) visit any public Level 3 DC Fast Charge station and get 80 percent of a full charge in about 40 minutes. That's still quite a wait to get back on the road! The belt-drive LiveWire features a clutch-free design that makes it easy for both experienced and new riders. 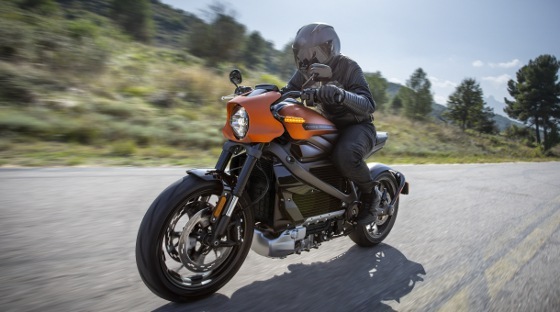 The instant torque provided by the H-D Revelation electric powertrain can produce 100 percent of its rated torque the instant the throttle is twisted -- and 100 percent of that torque is always available. (Harley has not officially released torque and top-speed figures, but Cycle World says the bike tops out at 110 mph.) Another cool feature is the power regeneration mode, which when engaged adds charge to the battery from braking. This is especially helpful and most useful, of course, in stop-and-go urban traffic. The H-D Revelation powertrain sits low in the motorcycle to lower the center of gravity. This also helps the motorcycle handle well at all speeds and makes it easier to balance when stopped. Advanced riding tech includes a standard cornering-enhanced Anti-lock Braking System and Traction Control. The systems are fully electronic and use the latest inertial measurement unit and ABS sensor technology. The high-performance SHOWA front and rear suspension is also fully adjustable. A state-of-the-art 4.3-in., full-color liquid-crystal touchscreen display keeps the rider updated on speed, range, and battery status. It can be easily customized to include turn-by-turn navigation, music, alerts, and more. 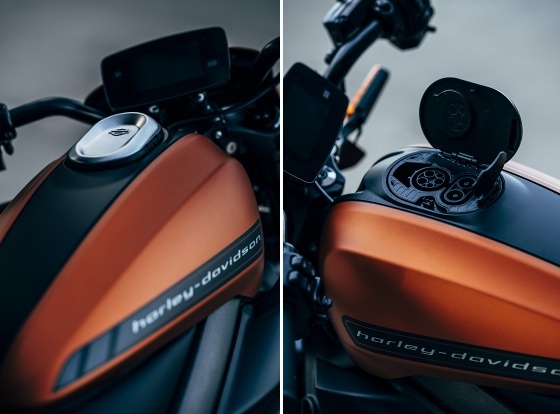 Tamper alerts and vehicle location: H-D Connect indicates the location of the parked LiveWire motorcycle, and alerts can be sent to the rider's smartphone if the bike is tampered with or moved. GPS-enabled stolen-vehicle tracking provides peace of mind that the motorcycle's location can be tracked. Service reminders and notifications: Automated reminders about upcoming vehicle service requirements and other vehicle care notifications. 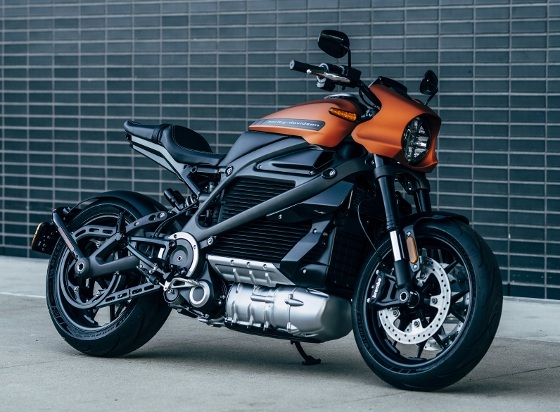 LiveWire rides on premium 180-mm rear and 120-mm front H-D/Michelin Scorcher Sport tires, which were designed exclusively to enhance the ride and handling of Harley's first electric bike. We have to admit, it looks pretty sweet and stealthy in all black! LiveWire is also available in two exclusive paint colors: Yellow Fuse and Orange Fuse. Deliveries are expected this fall. Pricing is $29,799. 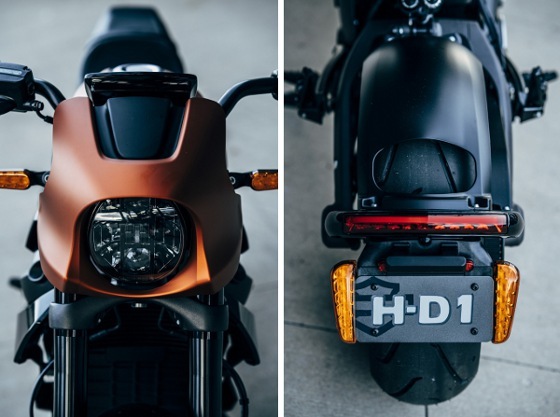 Learn more on the H-D site here.